Object pool is a set of ready to use objects. Clients can borrow the object from the pool and the object will be returned back to the pool when done so that it can be reused. Data base connection pool is a well-known example of object pooling. Creating our own object pooling will usually take more resources as one has to concentrate on thread safety and one bag full of test cases for the pool. Apache commons pool hides the complexity of implementing the pool and has nice set of factories through which we can define the life cycle methods of the pool which are to be pooled. More information on apache’s common pool can be found at http://commons.apache.org/proper/commons-pool/. destroyObject:called when the object is removed from pool for good. //Static factory method to create instance of this factory. * invoked on every instance when it is returned to the pool. *     The user object which is to be returned to pool. *        can be returned to the pool. A binary heap data structure is a complete binary tree. Binary heap comes with two variants MAX-HEAP and MIN-HEAP. In MAX-HEAP the parent node will be greater than its children and in MIN-HEAP the parent will be lesser than the children. Priority queues are implemented based on heap data structure. 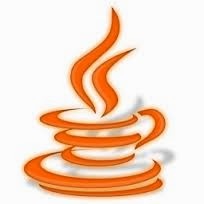 Please note that there is an implementation of priority queues in Java collections package. In a MAX-HEAP A[PARENT(i)] >= A[i] where as in a MIN-HEAP A[PARENT(i)]<= A[i]. So in MAX-HEAP the largest element will be stored in the parent and in MIN-HEAP the smallest element will be stored in parent. The binary heap implementation I did is based on "Introduction to Algorithms edition 3 by Thomas H Cormen". In my implementation users can create a MIN-HEAP or MAX-HEAP via the constructor.